Africa is a continent of surprises and none more surprising than that of the enjoyable, friendly and welcoming region of Saharan Africa. While a couple of the countries are currently no go zones, the others remain open for business and welcoming to visitors from around the world. If you are looking for a unique, heavily cultural and enjoyable trip into the Sahara, look no further. Here are two run downs on two great Saharan African nations which are open for business and welcoming to travellers with great hospitality and exciting, unique cultures. Tunisia is a beautiful country that is nestled between Libya and Algeria and often gets overlooked by its bigger neighbours. While Tunisia is right next door to the currently unstable Libya, the tensions have not made their way into the country, due in part to their extremely strict border policies on that side of the country to keep it safe for tourists. Cities like Tunis, home of the old Carthage ruins of ancient times past, and Sousse are perfect for the tourists who like a bit of the finer things and resorts are easily found. If you’re looking for some adventure though, venture off the trail a bit and head to Tataouine, a town in the desert where you can find accomodation in underground caves that the local Berbers use for coolness and protection from the hot sun. A trip out to Tozeur in western Tunisia is worth the trek as well to see some of the fantastic buildings made from bud and carved out of the ground as well as to visit some of the waterfalls in the region as well as the national parks that are nearby. Truly, Tunisia is a look into real cultural and hospitable Saharan Africa that many don’t opt for. Morocco has quickly become a popular location for people looking to get away into the sun for a week or two. With its hot summer temperatures and some beautiful coastlines to choose from, it’s easy to see why this is a popular place. Activities like surfing are significantly cheaper in Morocco than in other countries like Portugal as well as spa days and the like. This makes Morocco a great, culturally intriguing and inexpensive option for those looking to get the most out of their holiday. 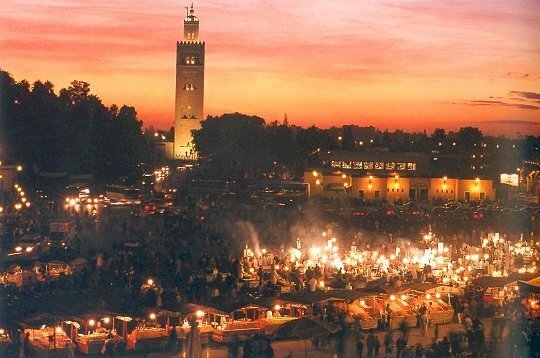 Cities of Marrakesh and Fes are both well placed to welcome visitors with lots of options for accommodation as well as restaurants and things to see or do including impressive market squares that come to life by night with all manner of strange and wonderful entertainment or product to purchase. Tours can be arranged from main cities out to the Sahara desert or if you’re really travel hardy you can catch public transportation out to the likes of Zagora or Merzouga and see what happens when you get there. So there you have a bit of information on two great countries that are ideal for those looking to step into the world of Saharan Africa. With so many things to see and do in both of these interesting, welcoming and hospitable countries the only issue you will have is which one to start with!